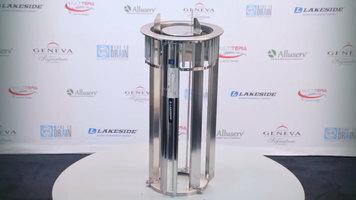 This Lakeside E6205 enclosed stainless steel heated two stack plate dispenser is idea for dispensing warmed plates 5 1/8" to 5 3/4" in diameter. Use it in the front of the house or back of the house to make sure that you have plenty of clean, warm plates right where you need them. The easy glide, non-stick design ensures smooth, worry-free dispensing. Made with double wall, all-welded stainless steel for durability and insulation, this unit is easy to clean and maintain. 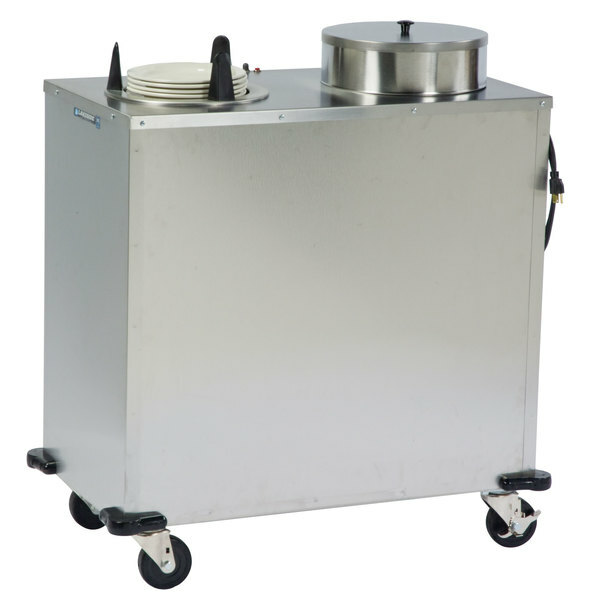 With four 4" all swivel casters, two with brakes, you can transport this dispenser with ease and then lock it in place. Plus, the corner bumpers give you peace of mind while transporting this dispenser in the front of the house since they prevent damage to your walls, doors, and furniture. A single thermostatic control operates the heating unit for both stacks, keeping every plate in the dispenser heated evenly. This unit features a single, simple-to-use, power switch. 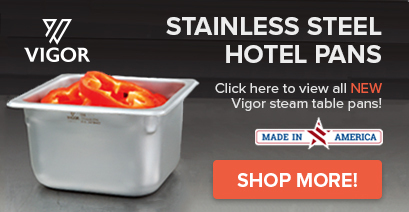 This dispenser can heat your dinnerware up to 150 degrees Fahrenheit in as little as 90 minutes. Plus, this dispenser comes with two heat-retaining covers to increase efficiency. This unit has a 25" stacking height capacity. A 120V, 750W, 6.5 amp electrical connection is required.